One of the most rewarding things about being a city hall wedding photographer is the diversity of wedding dresses you come across. Because of the fact that SF City Hall is somewhat of an alternative wedding venue, it attracts many different types of dresses. Brides understand that a civil ceremony by nature can be quite casual by nature, but the elegance of the building can also allow for formal wear. The end result is that as a wedding photographer you end up encountering virtually every type of dress ranging from from completely casual to extremely formal. The wedding dress above was a formal dress but not typically thought of as for a wedding. However, it worked amazingly well in the couple's wedding pictures. It dazzled in the sunlight and also stood out in the San Francisco Fog. This particular image was created in the back area at Baker Beach away from the ocean. 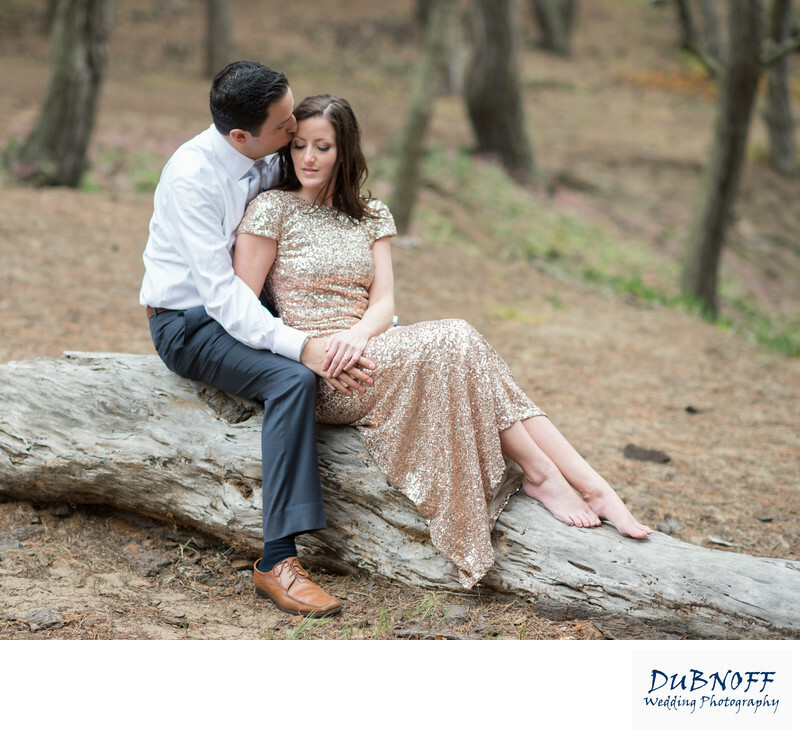 There is a heavily wooded area that we love there that is nearby and it's great for wedding pictures.